When Formula 1 team-mates Lewis Hamilton and Nico Rosberg collided at the Belgian Grand Prix, the championship fight between the Mercedes pair broke out into open warfare. Their feud has revived a perennial Formula 1 dilemma - is it better to hire two drivers of the same status, or a top-performing driver with a supporting wingman? The answer could lie in new research led by Cass Business School, part of City University London. 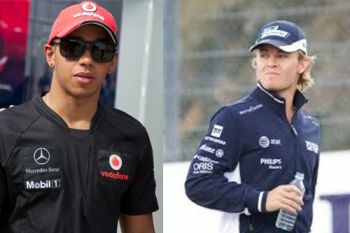 After studying every driver in all Formula 1 races between 1981 and 2010, experts found that two top drivers competing in the same team had a detrimental effect on their individual performance. "We found that drivers who were successful in the past were more likely to perform well in the future. However, when the difference between the past performances of two team-mates decreased, so did their individual results," says the study's co-author Dr Paolo Aversa, a lecturer in strategy at Cass Business School. "In other words, it's good to hire a top-driver, but his average performance declines when his team-mate has a similar level of prior success." According to the authors, the findings extend beyond the Formula 1 race track, shedding light on why star performers at one organisation fail to live up to expectations at another. "This is a phenomenon that affects top managers at public and private organisations, leading scientists in R&D teams and movie stars in Hollywood," says Dr Aversa. So why does individual performance decline in teams with more than one star? Dr Aversa says one reason is the emergence of internal team conflict as two high status employees compete for the same results. Formula 1 teams deal with this by either favouring one of the two drivers-in order to avoid internal conflict-or by refusing to side with either driver-thus promoting internal competition. "None of the two options entail a positive outcome," says Dr Aversa. "The first option tends to demotivate both drivers, as the favoured driver tends to relax his rivalry, and the second loses his ambitions as he acknowledges that he will not be allowed to overtake his colleague. The intra-team rivalry of Barrichello and Schumacher at the start of the decade is a good example." "In the second case where the team promotes internal conflict, the resulting antagonism often leads to the failing of any intra-team collaboration, and eventually triggers aggressive duels that often end with one of both cars crashing. This happened in the recent crash between Hamilton and Rosberg in Belgium." Individual performance can also decline in teams with two top stars due to the inefficient use of resources. "Teams slow down their decision process as they have to carefully weigh the impact of favouring one driver over the other," says Dr Aversa. "In hyper-competitive settings like Formula 1, where teams are required to focus their resources and quickly respond to changes in the competitive arena, this behaviour harms both the drivers' and the team's performance." So is there a solution for Formula 1 teams, and firms, dealing with two roosters in the same henhouse? "A good strategy is a clear strategy," suggests Dr Aversa. "When teams employ two star individuals, they have to make their strategy clear from day one. Therefore, the expectations are well defined for both drivers, and everybody knows the right thing to do in each situation."